His Place Church has three primary foreign missions projects: two in Mexico and one in the Philippines. Each of these ministries has established a work within an unreached people group. Each year for 8 to 10 days in May, Pastor Nick takes a volunteer work team of 15 to 20 to different areas of Northern Mexico. Over the past several years the teams have completed many projects, including modest homes, a youth facility, and a church in an area called Terrazas Del Valle. The 2006 team visited southern Baja and, partnering with the Terrazas church, constructed a home for the missionaries to the Triqui Indians. 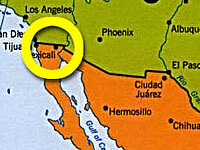 The Southern Mexico project is in an area called Cofradia, two hours south of Mazatlan. This is home base for His Place missionaries Jay and Faith Tenbrink. Each year for 10 days in late January, Pastor Nick takes a work team of up to 30 to this project. 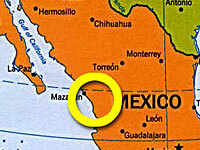 The journey requires flying into Mazatlan and taking buses into the interior. During the last eight years, the teams have built a church in Arrayanes, remodeled a house for the Tenbrinks, and added additional living quarters onto the house of the Arrayanes pastor. Currently we are helping to construct a new church complex in Cofradia. 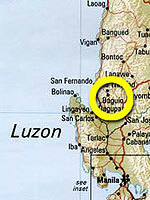 The Philippines project is centered around Calew on the Island of Luzon where there is a church, Bible College, daycare facilities in a somewhat remote jungle area. Numerous outreaches have developed from this project, which are visited during mission trips whenever possible. Pastor Nick takes a group to the Philippines for 17 to 21 days each year; currently this trip is being taken at the end of March. Opportunities to visit this region may be limited by local political activities. This trip is only for visiting and encouraging our direct and indirect support projects there. Download Google Earth placemarks for these locations by clicking here.